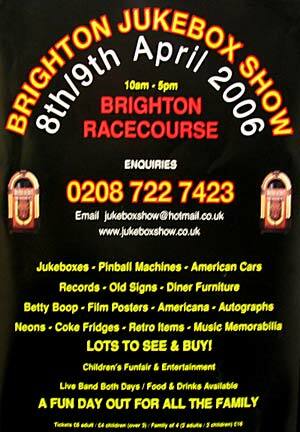 Early April saw the annual Brighton Jukebox Show held at Brighton Racecourse on England's south coast. 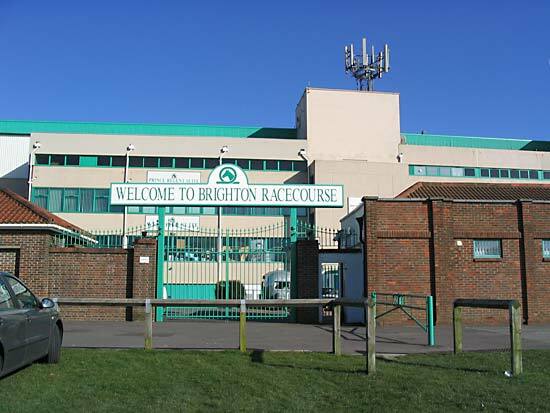 The racecourse is high on the South Downs affording a great view of Brighton and the surrounding areas but it was indoors and into the grandstand that we were going on this bright and breezy Saturday morning. Entry cost £6 for an adult and £4 for a child with a family (2 adults and 2 children) costing £16. 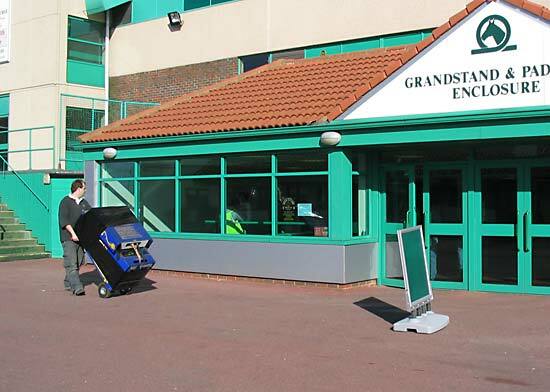 Once through the doors the familiar vast array of jukeboxes, records and memorabilia stretched out into the distance. But you know this report wouldn't be here unless there was a good pinball element to the show and it's good to report that there was no disappointment for pinball fans. 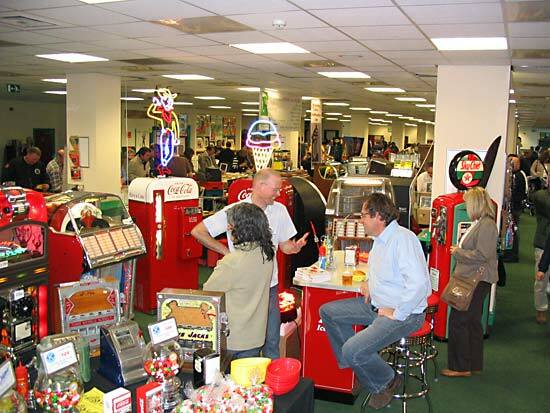 Sean Mills from Pinball Palace was there with his range of PinLED boards and following his new distributorship deal, boards from Rottendog Amusements. Behind Sean were Phil Crow and Peter Heath from Pinballs To Go in Ramsgate. Trade Winds, Sweet Hearts, Lethal Weapon 3, Jackbot, Batman, Black Knight 2000, Valiant, Disk Jockey, Golden Gloves, Silver and Hi-Deal. Just across the corridor were Mercury Amusements from Caerphilly who had brought an interesting selection of one famous pinball model. 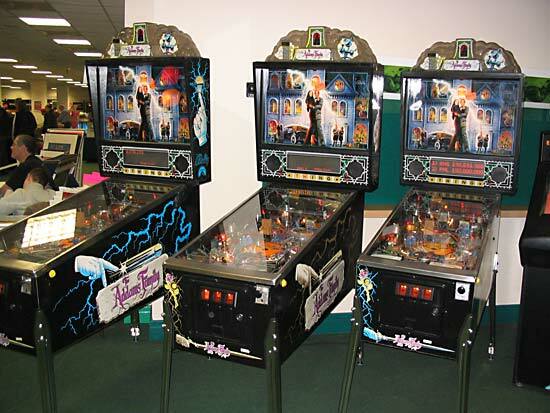 This family of Addams games included one Gold machine in the middle and two regular games. Mercury had also brought along a Shadow and a Fish Tales. There was an upstairs area but no visitors were up there and the one seller up there was still setting up. 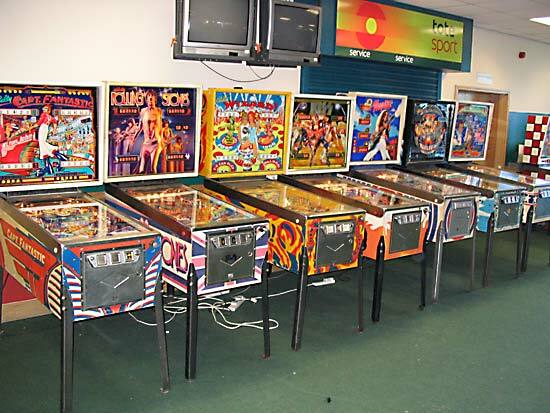 A shame as they had five pins - Oxo, Cue-Tease, Black Hole, Super Soccer and Ice Revue. 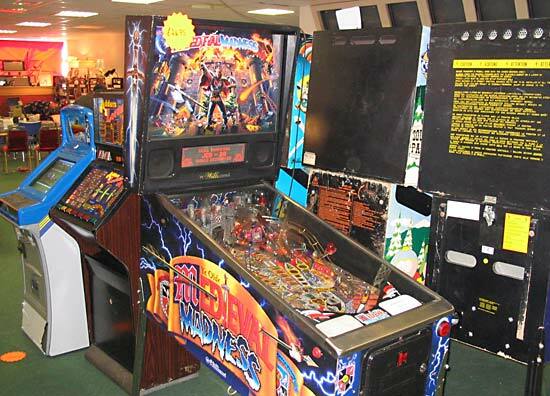 On the other side of the building was another room with more pinball machines. El Toro, Dolly Parton, Star Trek (Bally), Capt. Fantastic, Rolling Stones, Wizard, Kiss, Nugent, Silverball Mania, Evel Knievel, Happy Clown, Bumper, Rocket, One-Two-Three, Heat Wave and Surf Champ. Steve's wife was selling raffle tickets at the show for a pinball machine and managed to raise £302 for Cancer Research with Shereen from Essex winning the El Toro game. 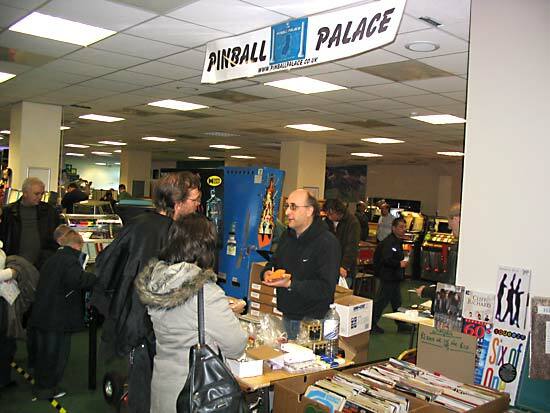 Across from Steve, Andrew from Nottingham was selling pinball games, slots and a few parts. Overall, game prices were fair with the occasional good deal to be found. At least one pinball game changed hands while I was there. 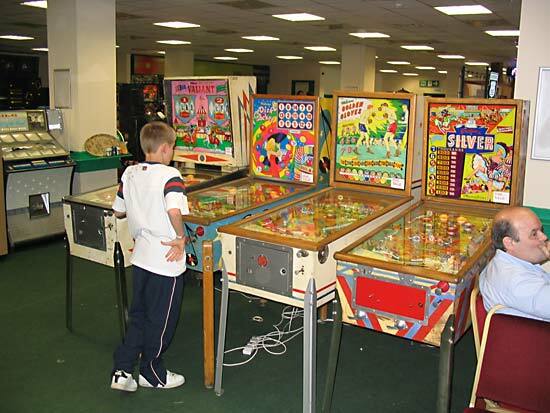 The Brighton Jukebox show managed this year to continue its tradition of having a good pinball turnout. Not all games were available to play but most were and there was an interesting mix of newer and older games. If you're not into jukeboxes or Americana then the show is just about worth the entry fee. But if you have even the slightest hankering for chrome and vinyl then it's a great way to spend a day immersed in nostalgia.